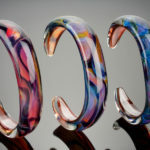 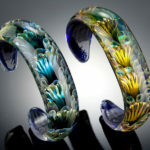 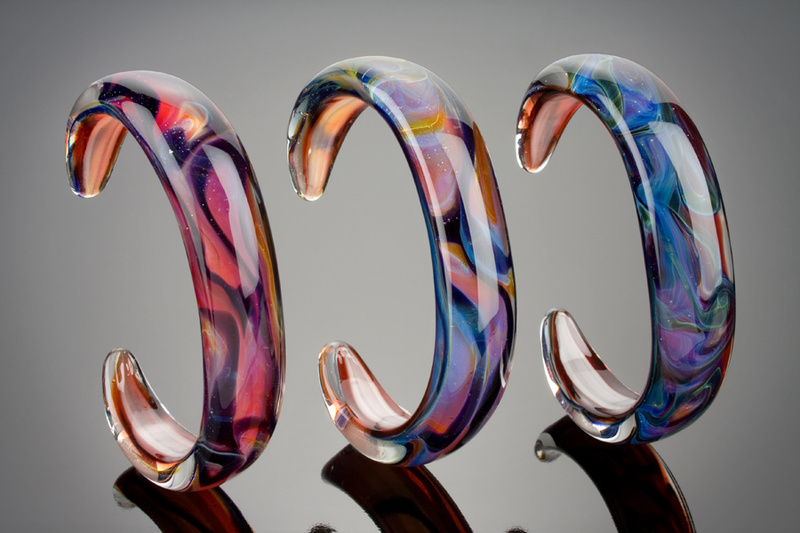 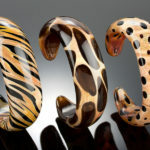 Kevin O’Grady is known throughout the U.S. and Japan as the most exciting and talented glass bracelet maker today. 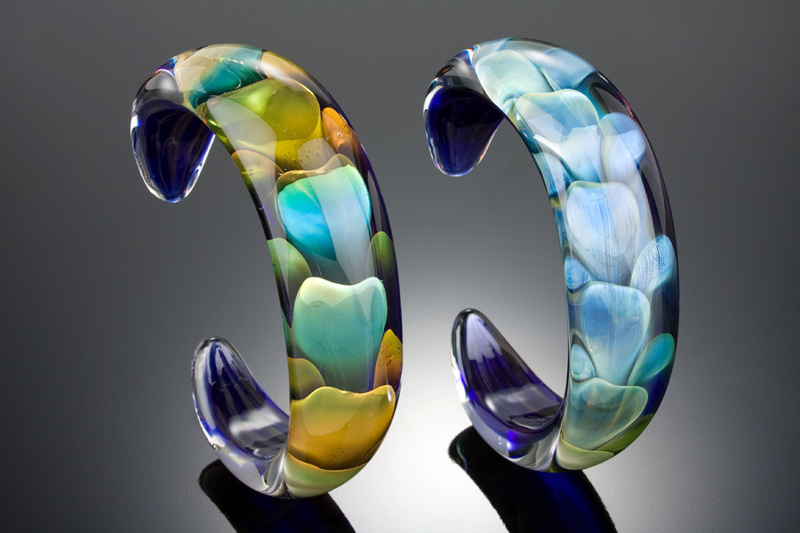 His creative and unique use of color is unmatched in the borosilicate world. 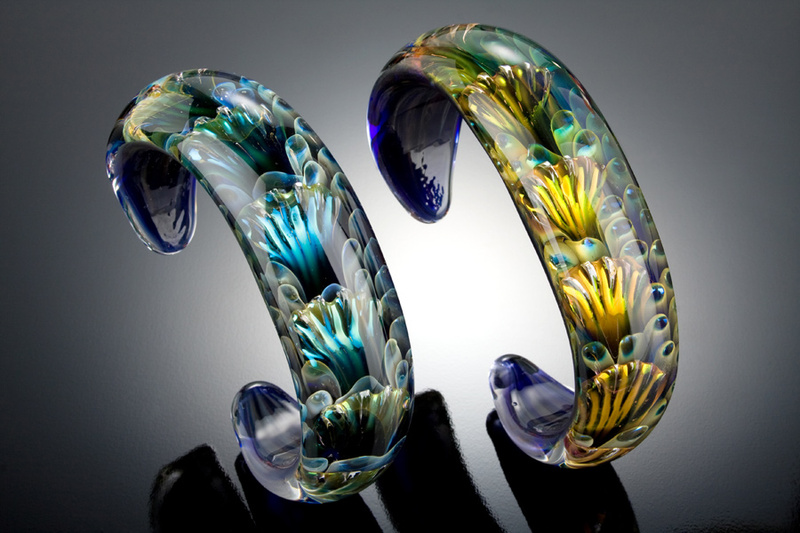 Kevin’s Pyrex bracelets, marbles, and Splash of Glass collections are both high-tech and artistic. 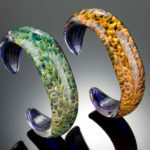 Wearing Art Glass as jewelry celebrates both contemporary and ancient fashion statements. 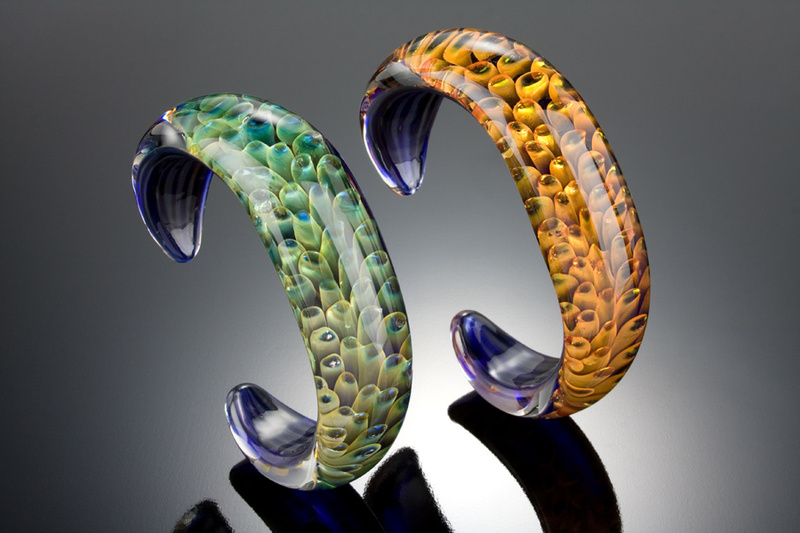 Although glass bracelets date back to the Egyptians, there is no more unusual and innovative way to appreciate modern art glass! 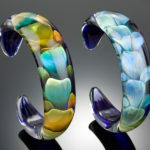 Kevin is also known for his collectable Chevron beads, Vortex marbles and paperweights. 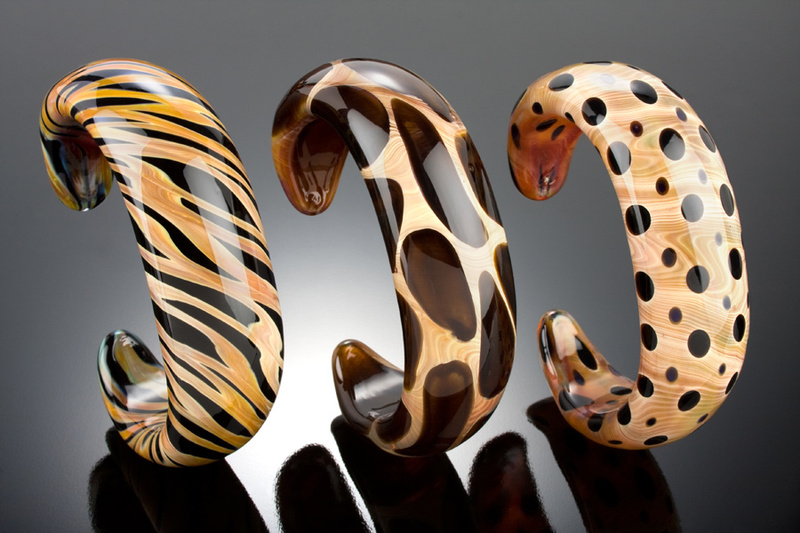 Each piece is a signed, one of a kind, unique work of art.